This time last (liturgical) year I was in Jerusalem for Easter, on a day off from my internship in the West Bank, and it was awesome. I’m not a particularly religious person, but Catholicism was a major part of my education and upbringing. The Bible is the source of some of my favorite images and lines of poetry, and I like the Mass, with all its rituals and incantations, as an opportunity for reflection and meditation. So it was a rare opportunity to go stumbling around all through all that religious history, to see the settings of the stories and parables from the sprawling literary work that is the Bible. The Garden Tomb, believed by many Protestants to be the burial site of Jesus; the Church of the Holy Sepulchre. Much of my Easter was spent exploring around the city to see what I stumbled upon. 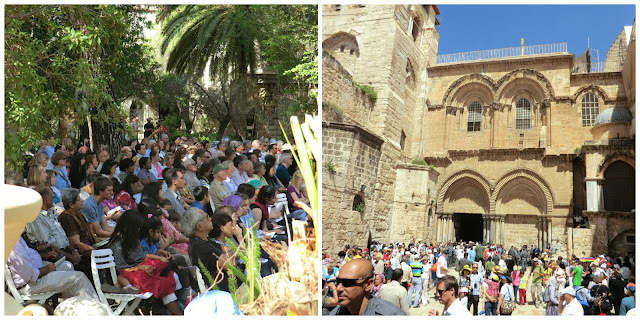 After stopping by an English-language service (an evangelical flavor, hands raised in praise) at the Garden Tomb, we went to the Tomb of the Holy Sepulchre, traditionally believed to be the temporary resting place of Jesus. Inside the Greek Orthodox held sway for the time, celebrating Palm Sunday – men in long black garments, circling the tomb, carrying palms and banners; chanting, incense. Following Al-Aqsa, I started wandering and ended up following the Stations of the Cross along the Via Dolorosa, the path that Jesus took to the cross, at least according to tradition. It was pretty cool to be walking that route on Easter – though sometimes it’s hard to let the history of a place sink into you as a tourist, because with the souvenir stalls and the guidebooks it can start to seem like it was all placed there for your entertainment. From there, I stumbled into a Franciscan church in the middle of an Easter service. Finally: these were my people. 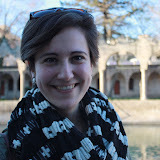 I was surprised by that reaction, as the particularities of denomination have never been important to me. But in Jerusalem—bursting with every sect of every religion, all of them jousting for control of the various sites; a place where (according to my Lonely Planet), a priest sweeping the wrong tile could be descended upon by rival priests for fear of readjusting the status quo, the agreement by which the Eastern Orthodox, the Roman Catholics, and the Armenian Apostolics would control in perpetuity the same areas of the church they did at the time of the Ottoman decree—it’s easy to adopt the same mentality. You can be as picky as you like when choosing from such a lavish religious buffet. In my head, all of the various Christian denominations were like so many rival college teams. The Garden of Gethsemane; on the Mount of Olives. I wandered into the Church of St. Anne and paid brief homage to my patron saint while listening to a Spanish choir take advantage of the church acoustics. 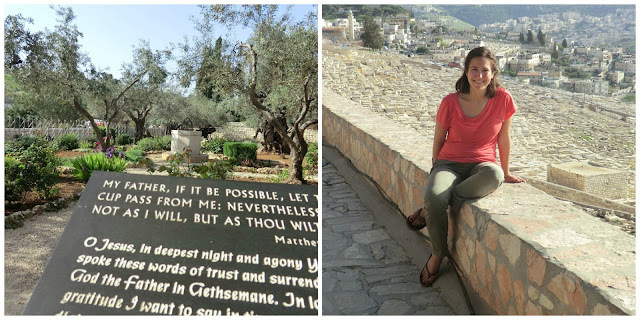 From there, I hiked towards the Mount of Olives and was taken by surprise to find the Garden of Gethsemane, the setting of one of my favorite verses. 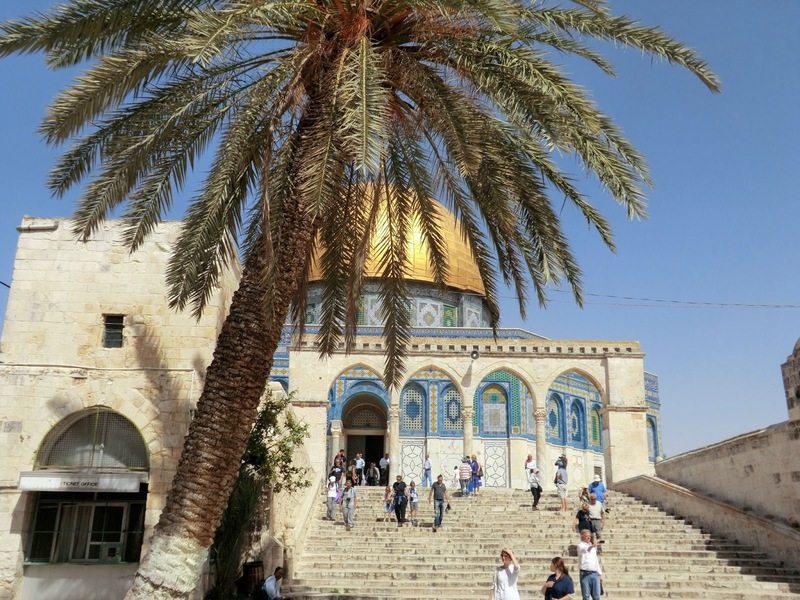 And then up to the Mount of Olives and its crowded cemeteries – because, according to Jewish tradition, it will be the first place the Messiah will walk and those will be the first people to be raised from the dead. More than the sights, I loved the people-watching – of observing (or, more accurately, bumping into/pushing/jostling), in a pseudo-anthropological fashion, the throngs who’d come from all over the world to this holiest of cities on the holiest of days: sturdy American Protestants; Egyptian Christians, with visors and hard geems; and the regular, everyday flow of Muslims through the narrow streets of the old city. There’s something so powerful about all those people, all believing strongly in something, disagreeing on minor to major details – from who was the last and greatest prophet to whether the Messiah has arrived yet to whether that wafer really is Jesus – making their pilgrimages from near and far, as people have been doing for centuries.